Whether your interest is country, rap, gospel, rock, jazz, or any other genre, you can find a book that will let explore all types of music at the Prairie State College Library. Maybe you want to read up on its theory, learn more about the industry and how to make music, or take a look at its history. If so you can find the Library’s music section in the ML call range or check out some of these new books we added this year. It is the year 2044 and climate change, limited physical resources and The Great Recession has rendered life on earth virtually unbearable. To escape the misery, the majority of humans ignore the fact that they are living in vertically stacked trailer parks and spend their waking hours in the OASIS, a massive multiplayer online simulation where the sky’s the limit (think of OASIS as Facebook meets World of Warcraft meets the Matrix without all the mean AI robots). In the OASIS, people go to school, build and explore virtual worlds, experience space flight, play video games, listen to music, hang out with friends … in fact in the OASIS people can do pretty much anything they want, given that they have enough “credits”. OASIS was created by an eccentric, socially awkward programmer named James Halliday (whose character is a mashup of Steve Jobs and Howard Hughes with a lesser known eccentric programmer, Richard Garriott thrown in), whom died five years before the story takes place. After his death a video will is release to those in OASIS along with a book that was dubbed Anorak’s Almanac, which purports to be a journal written by James Halliday’s on his passions and obsessions. The video says that whoever can collect three keys (Copper, Jade, and Crystal) that are hidden throughout the OASIS and pass through the matching gates will receive his fortune and controlling stake in Halliday’s company. This becomes known as the Hunt and people immediately begin the search for Halliday’s Easter Egg. Those searching for the Egg are referred to as “gunters,” a truncation of “egg hunters.” Gunters devote an enormous amount of time to studying 1980s pop culture, the decade Halliday grew up in and was perpetually obsessed with, in the hope it will assist them with locating and solving the puzzles involved with the Egg. When we are introduced to the novel’s protagonist, Wade Watts (an allusion to the Marvel superhero, Deadpool), it is five years after this announcement of the hunt. A lonely Oklahoman teen, Wade goes by the name of Parzival (a reference to a Arthurian Poem from Germany) in the OASIS. Obsessed with cracking Halliday’s puzzle Wade spends the majority of his free time studying Halliday’s passions for all things ‘80s, from Galaga to Rush to The Adventures of Buckaroo Banzai. His journey spans the length and breadth of the OASIS, taking the you on a magical mystery tour to distant planets that are influenced by everything from Blade Runner to Back to the Future. Along the way he finds friendship, love, and the ultimate enemy in the shape of Innovative Online Industries, a powerful corporation who will stop at nothing to win the contest and turn the OASIS into a purely commercial destination. Will Wade find the keys before the evil corporation? 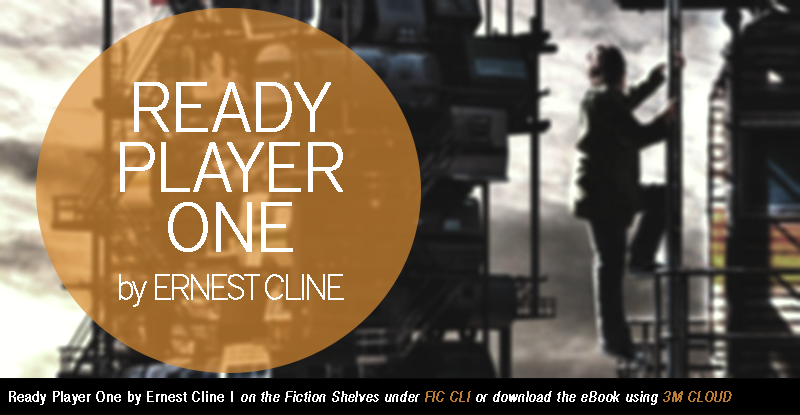 To find out stop by the library’s fiction shelves and grab a copy of Ready Player One. You can also continue reading after the jump for ways to watch the music, play the video games, and listen to the music referenced (or easter egged in the book). Statistician Nate Silver was all over the news last fall when he correctly predicted the outcome of the Presidential election in all 50 states and 31 of 33 Senate seats. So we just had to get his recent book, The Signal and the Noise: Why So Many Predictions Fail – But Some Don’t for the PSC Library collection. Before Silver became the predictor of elections, he also developed the statistical model of forecasting baseball players’ performance that’s so crucial to sabermetrics. In his book Silver attributes his success in statistical forecasting to his focus on math and collecting as much data as possible from as many different sources as possible, rather than working off hunches and other subjective means of making predictions. This sounds an awful lot like the skills we try to stress when working with students on their research assignments. In that case professors are looking for students to bring in evidence to back up their arguments from a variety of sources as well. To learn more about what Nate Silver can predict with good statistical models, check out these articles by him or his FiveThirtyEight blog. You can also check out The Signal and the Noise and the other new titles below on the NEW BOOKS DISPLAY at the Prairie State College Library! 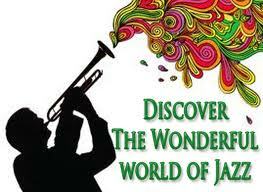 Americans celebrate the history and cultural influence of jazz in April. The selected titles are available in the l ibrary. There are few things that capture the essential character of Chicago more succinctly than its jazz. Its history, its culture, its larger than life personalities. The same could be said of the annual Jazz Festival for Prairie State College, this year celebrating 25 years of amazing performances by jazz greats and clinics for local student jazz ensembles. Get ready for this popular event, taking place February 21-22, by checking out a jazz biography or the amazing collection of Jim Marshall photographs of legendary jazz musicians, learning about jazz culture, or maybe you’d like to get your creative juices flowing with a few improvisations of your own. No matter how you like you jazz – smooth, hard, free, or cool, a stop at the PSC Library is a must. It’s the start of a new semester and we have many new books at the Prairie State College Library to start off the term right. One great book worth highlighting is The Rise of Chicago’s Black Metropolis 1920-1929 by Christopher Robert Reed. 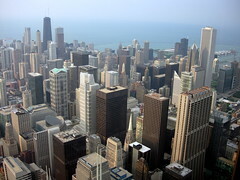 Writing about the the Roaring Twenties, Reed discusses how the great migration of African Americans from the southern U.S. greatly affected the Chicago Metropolitan era. According to Reed, while the 1920’s Jim Crow era was a tremendous obstacle for African-Americans, in Chicago they were able to mobilize their burgeoning numbers and seize control of black politics, black business, and black life. As we prepare to celebrate Black History Month in February, this is an worthwhile story of black history in the Chicago area. You can find this and any of the titles below on the NEW BOOK DISPLAY at the Prairie State College Library. When I think of summer, I think of road trips: Cruising down the highway with the radio blasting, stopping at every opportunity for gas station snacks, and long, meandering conversations with friends. A road trip is about the journey as much as the destination. So imagine the opportunity to road trip with an author you love, getting to know him in the intimacy of late night road conversations. That’s exactly what David Lipsky does over the course of a few days in the summer of 1996. He reports back on these conversations with David Foster Wallace in Although of Course You End Up Becoming Yourself, allowing us a personal view of a brilliant and complicated writer. Stop by the library to check this book out, or any of the other great New Books on display! Even if you spent spring break studying, this gorgeous photo book of Istanbul will make you feel like you traveled across the world. Istanbul: City of a Hundred Names is just one of the exciting new books we have available to check out. Stop by the library to see our display.